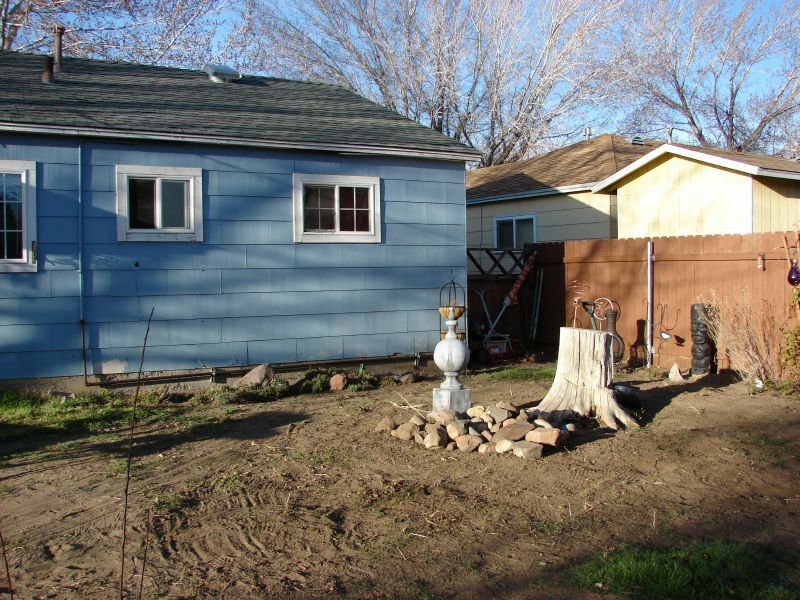 Landscaping Around Eyesores Got You Stumped? Its hard to tell if thats a decorative vase or a beer bottle sitting on the flat stump surface, but that just adds to the down-home appeal. One reason this design kinda works is that theres a carved wooden statue of about the same height on the opposite corner of the lounge area. Dave in Kentucky didnt have the heart to uproot this 100 year old water maple after it died. 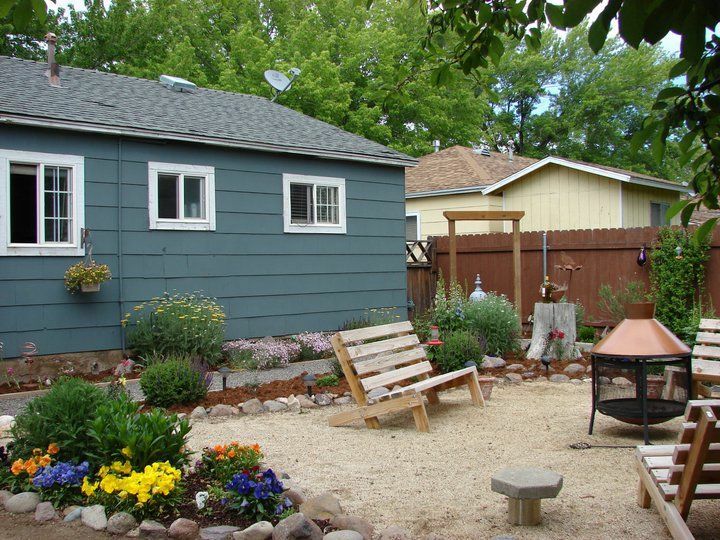 Instead, he left the stump in place  right smack dab in the middle of the backyard patio. The heart of the tree had rotted out, so he stuck a table umbrella in there and cemented it in place. Dave removed the bark with a chainsaw and cut in a footrest around the table base. Then, he stained and lacquered it to match the premade wooden stools. 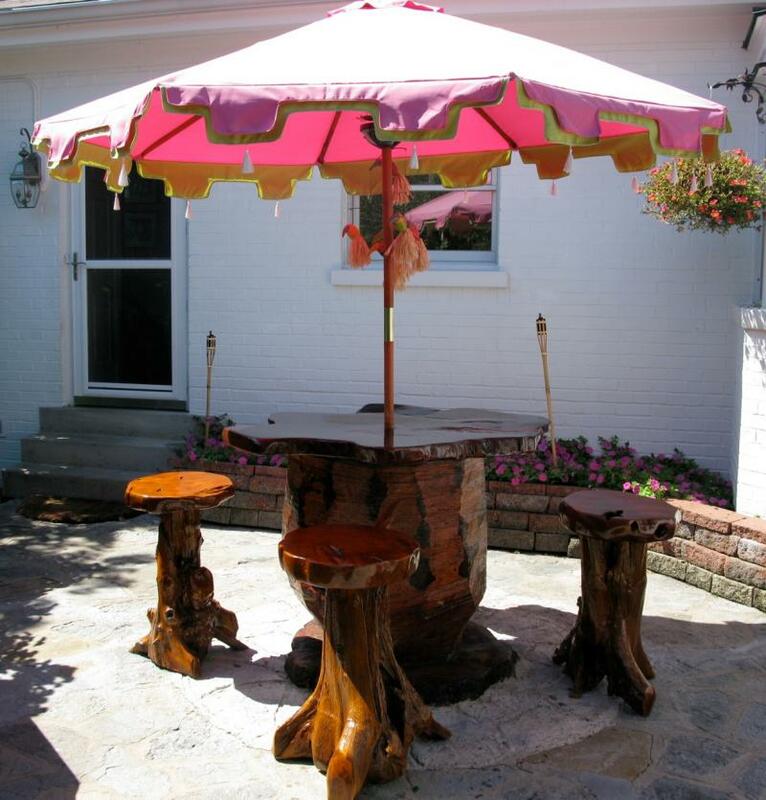 With proper care, this outdoor table might still be in use another hundred years from now! Strawberry Shortstump If you have a tree stump in your front yard, turning it into a table probably wont work very well. But what about making it the base of an unusual flowerbed? Strawberry pyramids are a type of raised garden bed constructed out of concentric circles. You could easily adapt one to be set up with the stump in the center. The sides of the stump would be concealed by the rings of flowers and you could set a decorative urn or other planter on the top to finish it off. Here's an example you can buy from Miller Nurseries.